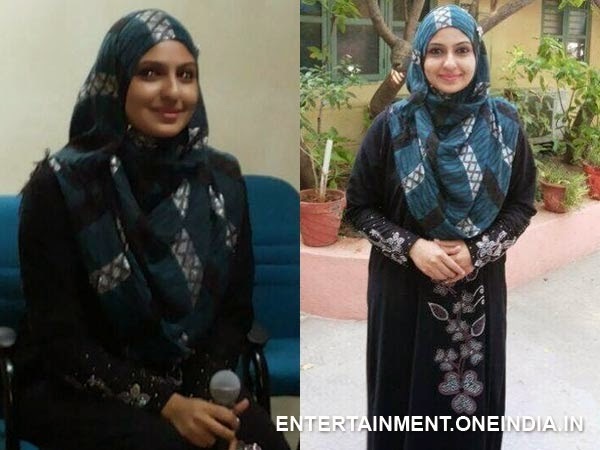 South actress Monica has been converted to Islam religion, today, May 30, 2014. The actress has revealed few images of her in which she is seen wearing the Islam's traditional costume burka. Monica started her career as a child artiste in Tamil cinema and has acted in more than 50 films. She is also the popular face in other South Indian film industries like Telugu, Malayalam and Kannada. However it is still not known what exactly made him to opt for one of the biggest religions in the world. The reason behind her getting converted into Islam religion has not been revealed yet. After getting converted into Islam, Monica has changed her name to MG Rehima. Monika announced her decision which she claims to be backed by her parents Maruti Raj and Gracy, in a recent press meet. She said that her decision to follow Islam is not based on monetary concern and it is only because she is inspired towards the Islamic tenets. Monika who has acted in 70 films in all has said she has decided to quit acting in films and will be entering wedlock soon. She also promised to announce her wedding plan soon.